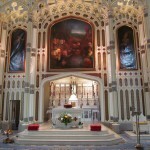 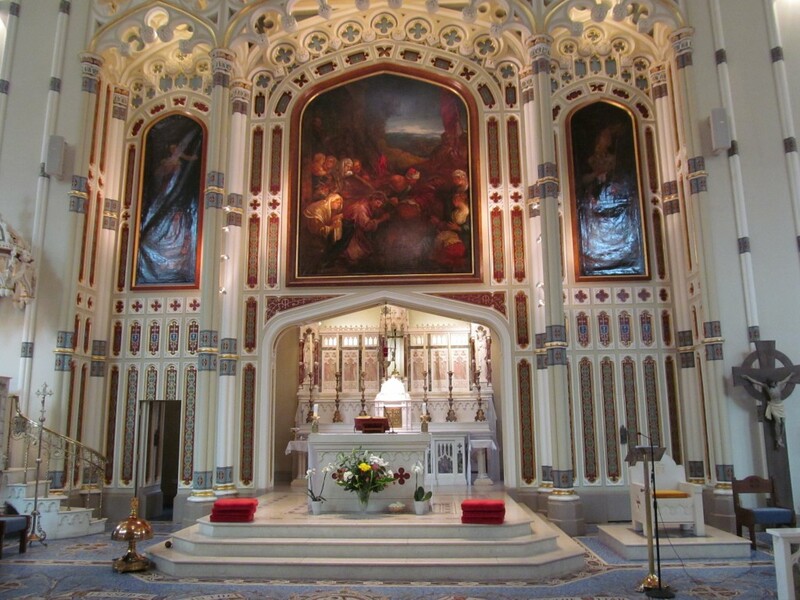 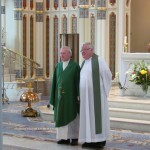 Father Neeson celebrated the 40th Anniversary of his ordination to the Priesthood on Sunday 16th June 2013. 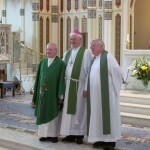 To mark the occasion Fr Pat concelebrated Mass in his home parish of St Malachy’s in Belfast along with Bishop Noel Treanor and Fr John Clarke. 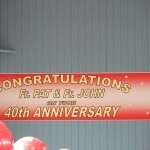 Fr John also celebrated 40 years in the priesthood this year. 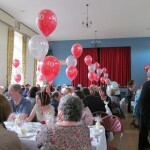 Following the Mass, there was a celebration lunch in the adjoining parish hall where Fr Pat was joined by his family and friends on this special day. 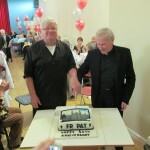 Hearty congratulations Fr Pat from the parishioners of Ardkeen!